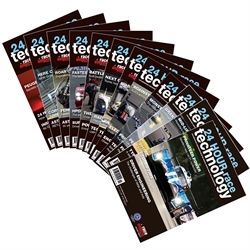 Volumes 1 - 12 of 24 Hour Race Technology. This offer saves you 20% over buying the issues individually! Please click "Details" to see the full contents of each issue. Highlights in this issue include a conversation with Iain Watt of Action Express Racing, a dossier on the Ginetta G60 LT P1 and a technical review of 2018. Insight into IMSA DPi vs Indycar and we look and the Aston Martin Vantage GTE. A profile on the BMW M8 GTE, a retrospective look at the Peugeot 908 transmission as well a focus articles covering composites. Please click 'Details' for full contents. 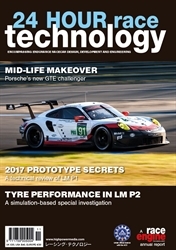 Highlights in this issue include a conversation with motorsport veteran Dave'Beaky'Sims, a dossier on Porsche 911 RSR(LM GTE)an insight into LM P Aero, a special investigation on LM P2 Tyre Simulation, a technical review on LM P1, a performance evaluation on Le Mans Prototypes and an insight into tyre modelling. Please click 'Details' for full contents. 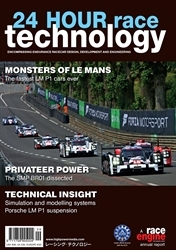 Highlights in this issue include insights into transmissions, LMP1 aerodynamics & LMP1 privateers. 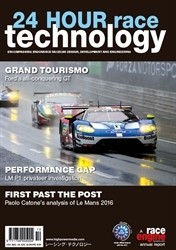 A technical review of Le Mans 2016, a dossier on the Ford GT as well as an analysis of Le Mans 2016 performance. Please click 'Details' for full contents. 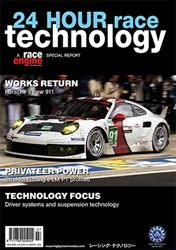 Highlights in this issue include insights into performance analysis, aerodynamics and Porsche's suspension. A dossier on SMP Racing's BR 01 and profiles on the SCG 003C and Xtrac's 1159 transmission. 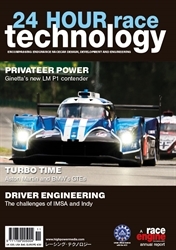 A technical review of LM P1 2015 as well as a focus article covering testing and simulation. Please click 'Details' for full contents. 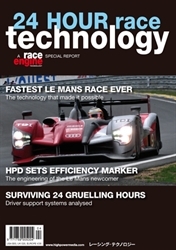 Highlights in this issue include profiles on the Zeod & Strakka-Dome S103. 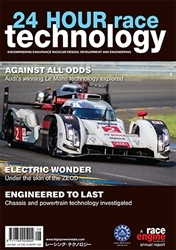 An insight into strategy & technology as well as a conversation with Audi's Thomas Laudenbach. 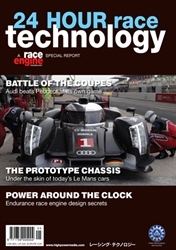 A look at the Audi R18, the Porsche 919 hybrid, as well as focus articles covering powertrain & chassis. Please click 'Details' for full contents. 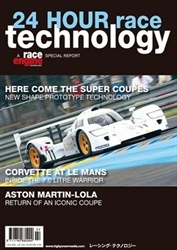 Highlights in this issue include a dossier on the HPD ARX03c and a look at the Porsche 911 RSR. Insights into aerodynamics and a review on powertrain. A profile of the SRT Viper GTE as well as focus articles covering suspension and driver aids. Please click 'Details' for full contents. 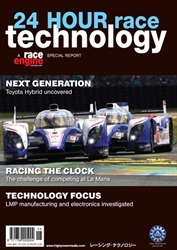 Highlights in this issue include Profiles on the Deltawing and Toyota's TS030 plus Focus articles covering Electronics and Design and Manufacture. Please click 'Details' for full contents. Highlights in the issue include Dossiers on Audi's LM P1, Hope Racing's LM P1 hybrid and Robertson Racing's Ford GT plus a Focus article covering Transmission. Please click 'Details' for full contents. Highlights in the issue include Profiles of the Zyetk LM P1, HPD's LM P2 and Corvette's GT2 plus Insights into Engine Durability, Suspension, Driver Support and Transmission. Please click 'Details' for full contents. 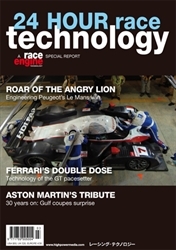 Highlights in this issue include a Dossier on Audi's R15 and Insights into Peugeot, Aston Martin, Ferrari, BMW and HPD cars. Please click 'Details' for full contents. Highlights in this issue include Dossiers on the Peugeot 908 V12 HDI FAP and Porsche's 911 GT3 RSR F6 plus a Special Investigation into the new shape of Prototype racing. Please click 'Details' for full contents.